NAPLES, FLA. — The national law firm of Quarles & Brady LLP announced that Timothy G. Hains, a partner in the firm’s Naples office, has been honored as 2014 Attorney of the Year by the Legal Aid Service of Collier County, Inc. The award was formally presented to Hains during a community awards ceremony at the sixth annual Barrister’s Bash on Thursday, May 1, 2014 at the Hilton Naples. Each year, the Legal Aid Service gives special recognition to lawyers, legal groups, volunteers and a member of the judiciary who have freely given their time and expertise in making legal services available to the poor in Collier County. Hains began the process of volunteering with Legal Aid in January of 2013 and has since handled numerous pro bono cases for Legal Aid and the Collier Lawyers Care Pro Bono Program. He also has generously given of his time to volunteer at local pro bono legal clinics. 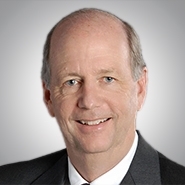 Hains has practiced as an attorney in Florida since 1974. He currently practices in the area of real property, including experience in real estate development, transactions and mortgage lending. Recent experience includes the representation of commercial and residential real estate developers in the acquisition, financing and development of real property and the representation of real estate investors in acquisition, financing and leasing of office buildings and shopping centers. Hains earned his law degree from Stetson University College of Law and his undergraduate degree from the University of Notre Dame.